It was almost thirty years ago that I first read THE PHILOSOPHER’S AWAKENING by Mabel Lee Cooper. 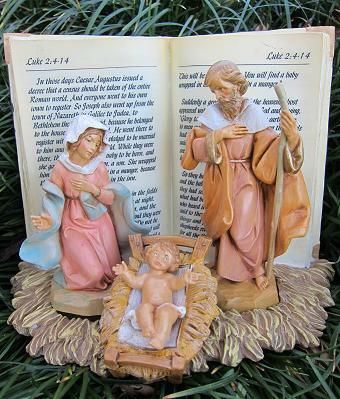 I’ve heard this Christmas allegory read by Paul Harvey, the well known American radio broadcaster, famous for his “‎The Rest of the Story” broadcasts several times in the years since. I’m sharing it now with you. I wish you a blessed Christmas. As he was thinking, suddenly he heard a noise at his window, caused by a flock of half frozen birds beating their wings against his window pane. The poor birds had been caught in the blizzard as they journeyed southward to a warmer climate. The heart of the philosopher was touched, for he loved birds. He opened wide his window, think ing the birds would fly in where there was warmth. But the birds didn’t understand, and would not fly in. Putting on his warm fur coat, he went outside, determined to save them if he could. He tried to force them into his room, but they resisted. Several times he tried to clutch them in his hands, but they eluded his grasp. Then he took bread crumbs and scattered them on a little place he had cleared in the snow. The half-starved birds devoured the crumbs, and then, with renewed strength, tried to fly again. 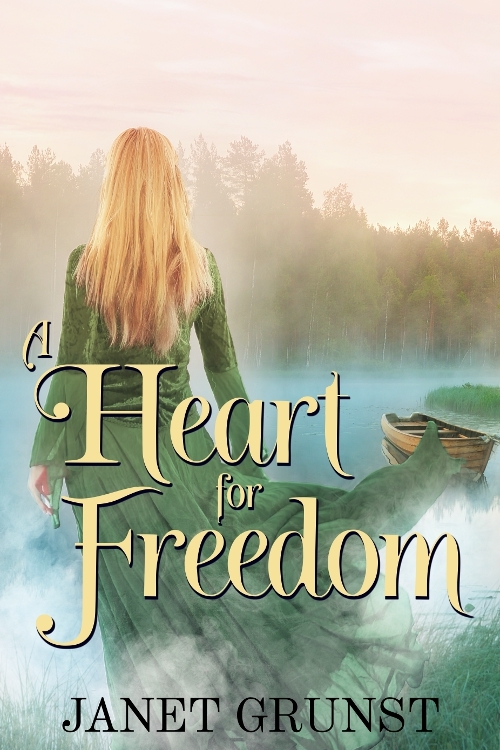 Author and friend Elaine Cooper has written some wonderful historical novels that take place during the Revolutionary War. After reading Field of the Fatherless, a gut-wrenching story about a battle that takes place on the same day of the battles of Lexington and Concord, I commented to Elaine that it must have been a very stressful story to write. That is when she told me that she was in the early stages of writing Bethany’s Calendar, the story of her family’s journey through her daughter’s symptoms, diagnosis, and later death from brain cancer. stamina to take on such a project, and told her I would be praying for her throughout this work so close to her heart. Welcome Elaine. I believe that Bethany’s Calendar is your first non-fiction book. Please tell us a little about Bethany and what motivated you to write her story? Thanks for having me, Janet. Yes, Bethany’s Calendar is my first non-fiction book and it definitely was the most difficult to write. I call it “the book I never wanted to write,” yet I felt the Lord clearly prompted me to put fingers to the computer and tell my daughter’s story. Once I asked friends to pray for me and I began the book, the words just flowed. Bethany’s Calendar is so personal because it deals with your daughter’s illness and death. How did your family react when you told them you wanted to write a book about it, and did they contribute to it in some way? I first told my husband because I needed to know that it was OK with him. I also asked permission from my two sons to include them in the story. They were both very supportive and gave me the green light. Occasionally I’d ask for input from my husband and he would help with recollections. Eventually I revealed my plans to others and really didn’t get much input from them because, for the most part, they were not here. Most of my family lives a distance away so they weren’t privy to the day-to-day events. 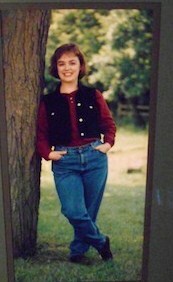 But most were very supportive of me writing this memoir. Writing this book made you re-live such a difficult time in your life. How did you prepare for this task, Elaine and face it day after day? I always begin my day with prayer and definitely included prayers for strength, wisdom and discernment when writing Bethany’s Calendar. Since it’s a memoir involving real people, I had to be very careful how I worded things and had to keep the identity of some individuals private. When it’s a memoir, you have to be aware of possible litigation. Mostly, I wanted to please my Lord with each and every word that I wrote and keep Bethany’s memory untarnished. Did you find writing Bethany’s Calendar brought additional healing for you and others? I can’t speak for others but for me, having Bethany’s story told keeps her legacy of faith and courage alive. It is a joy to have been able to reveal to the world just a small glimpse of the inspiring, fun and unforgettable young woman who we knew and loved. And to write tips that might help others on a similar journey with a loved one, adds extra meaning to her life. To turn our pain into a means of hope and help for others is a comfort. And I think she would be pleased. One might think a book on such a painful experience would be overwhelmingly sad, but Bethany’s Calendar, while bittersweet, is incredibly uplifting as well as instructional. Please tell us how you framed the book to be such a helpful resource. It must have been the Lord prompting me to peruse her diaries and pull out excerpts from her own writing. I found it amazing that nearly every excerpt I selected became the perfect introduction to each chapter’s topic. The “Notes to Self” and “Notes to Others” that finish each chapter just seemed the perfect reflection on what I’ve learned in the ten years since everything happened. Sometimes the tincture of time clarifies and sorts through the darkness to find light. I pray these tips will minister to many. I remember thinking as I finished reading Bethany’s Calendar, that in its publication, some of Bethany’s hopes are being fulfilled. Yes. She is now a published author with her diary journals. That gives me great joy. Thank you, Elaine. Where can people find your books? Right now, Bethany’s Calendar is available at Amazon and select bookstores. 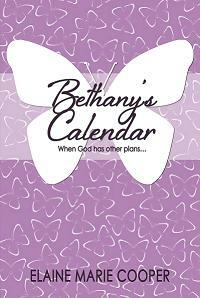 Elaine Marie Cooper has released her first non-fiction book, Bethany’s Calendar. 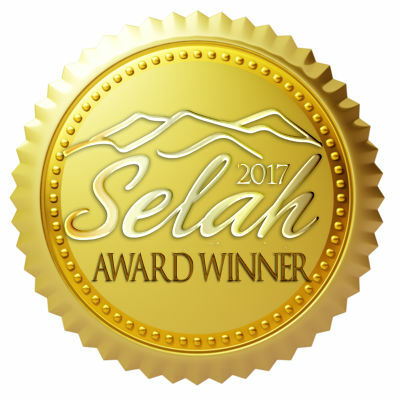 It is a personal memoir of her daughter who died of a brain tumor and how the Lord was their strength during the darkest journey of their lives. On this Veteran’s Day, I want to give homage to Alex, a World War II hero, a United States Navy fighter ace and Medal of Honor nominee. Alex and I worked in the same Wells Fargo Bank office for six years back in the early 70’s. He worked upstairs in the Trust Department and I worked downstairs in the bank. I would see this man’s smiling face every day as he walked through the lobby and up the stairs. We would exchange pleasantries and at times chat in the lunch room. When my parents wanted to open a trust account, I set up the appointment and introduced my father, a retired Navy Captain, to Alex Vraciu, the Trust Officer. By the mid 70’s I had relocated to the east coast and never saw Alex or most of my former coworkers again. One evening in the 80’s, I happened to be watching a program about World War II on television about the “Great Marianas Turkey Shoot”. Since I had visited the Marianas chain of islands, I was particularly intrigued. They were telling the story of the famous Navy fighter pilot, Alex Vraciu, already designated an ace because of his previous kills. But on June 19, 1943 he destroyed six Japanese dive bombers in a period of eight minutes. My eyes were glued to the screen watching the film footage as they detailed Alex’s many victories and illustrious career. I was stunned. Alex knew I came from a Navy family, yet he never mentioned he had served in the Navy. Alex was nominated for the Medal of Honor for his actions at the First Battle of the Philippine Sea, but it was later downgraded to a Navy Cross. By the time the war ended, Alex was the US Navy’s fourth highest ranking ace. After the war he became a test pilot and played a part in forming the post-war Naval Air Reserve program. He was promoted to Commander and led squadron VF-51 from 1956 to 1958. In 1964 he retired and went into banking. Alex Vraciu was a hero, not only for his naval exploits, but also because of his remarkable humility. I suspect he and my father probably shared some Navy stories, but my father was also a man who did not believe in calling attention to one’s success, so he never shared what he knew of Alex with me. Alex Vraciu is now 96 years old. “Fair Winds and Following Seas” Alex. 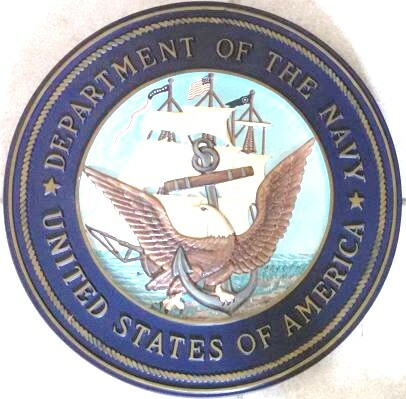 The American War for Independence gave birth to what is now the United States Navy. 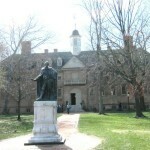 In late May of 1775, the Second Continental Congress began meeting in Philadelphia, Pennsylvania to push back against the British King’s coercive acts. April battles in Massachusetts brought the colonies into open warfare with British troops, so in part the function of this Congress was to establish and manage the war effort. Until that time each of the thirteen colonies had their own militias made up of part-time citizen soldiers. Now, a unifying army was needed. 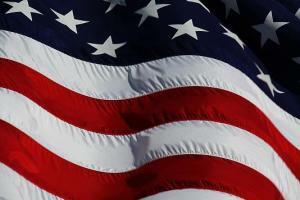 In June The Continental Army was established to coordinate the military efforts between the thirteen colonies. Britain not only had the world’s most powerful army, but their navy dominated the seas. 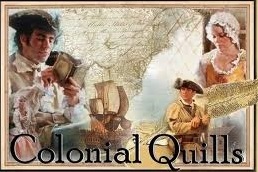 The British navy was providing material support to the British forces in the colonies and hindering colonial trade. John Adams, among others, was advocating for an American fleet needed to defend coastal towns from British raiders, and protect the import and export of goods. Many of the Delegates to the Congress were initially reluctant and hoped for reconciliation with the Crown. They viewed the establishment of a navy a step towards independence, and a foolhardy attempt to take on the strongest navy in the world. On October 3, 1775, resolutions and arguments were made regarding the establishment of a fleet. By October 5, word had come of more English supply ships en route to Quebec. Delegates from New England were far more vocal advocates for a navy than their mid-Atlantic and Southern counterparts, and fortunately they made up the committee that came up with a plan. On October 13, the Second Continental Congress voted on legislation authorizing two sailing vessels to be armed and manned by crews of eighty. These ships were to be sent out for a period of three months to block British transports from carrying munitions and re-supplying the British forces in the colonies. Fortuitously, that same day, a letter from George Washington was read in Congress indicating that he had acquired three schooners to cruise off Massachusetts to intercept enemy supply ships. This seemed to provide all the motivation needed to develop the Continental Navy. Congress soon established a Naval Committee charged to establish and equip a fleet. 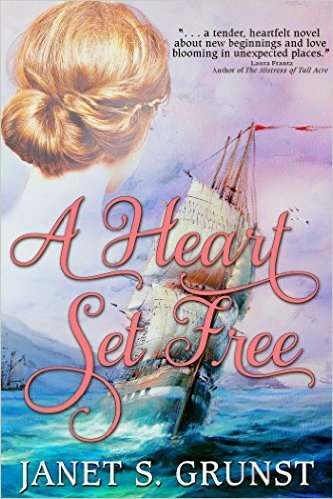 After the Revolutionary War, the Navy ships were sold and the seamen and officers let go. 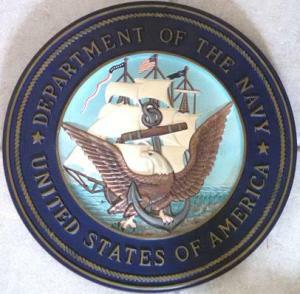 The Constitution of the United States, which was ratified in 1789, empowered Congress “to provide and maintain a Navy” which it has done ever since. Some incidents impact a nation so dramatically that people never forget where they were when they learned of the event ― September 11, 2001 was such a day. 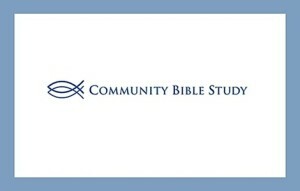 I was living in northern Virginia and working at the Community Bible Study National Service Center located in Reston Virginia. Since it was early September it was at the time of year that many of our CBS classes around the country were just getting underway again. All the staff members attended one of the local classes, and a number of my co-workers were at class that morning. I was in the office when we learned of the news, so immediately the television was turned on and many gathered around to watch and learn of the unfolding events ― and to pray. Our normal office routine allowed for a time every morning when we would gather and pray. Because of the office’s location in the Washington D C metropolitan area, we were even more impacted because the Pentagon was not far away. Some of our staff either knew people or had family serving in the military. My Navy son was stationed in Florida. My youngest son was a student at the Virginia Military Institute miles away in Lexington, Virginia. He was impacted by the attack on the Pentagon as he was on guard duty at the time and was one of many who had to deliver tragic news to fellow students about their parents. And then our staff heard that Flight 93 that went down in Shanksville, PA was probably intended for the White House or the Capitol. What we would soon learn was that two of the passengers of Flight 93 were two Community Bible Study Leaders, Don and Jean Peterson. Don was a CBS Teaching Director and Jean was a CBS Prayer Chairman. They lived in New Jersey and were on their way to Yosemite National Park in California for a vacation. They were offered the opportunity to take Flight 93 instead of their later scheduled flight, and took it. The courageous narrative of how the passengers and crew members aboard the plane planned and overtook the hijackers is powerful. There also were many stories of heroism in New York and Washington. In the days following September 11 flags appeared everywhere, churches were filled. And for a time, the United States of America was just that ― united.
. . . it is also for historical film lovers. Those of us who love history, look forward to movies or television programs that feature an era, event, location, or person we find fascinating. It’s even more fun if it is filmed in a location where you live or work. And, there is always the chance that you might get a chance to be a walk on or an extra. Here are some movies filmed in Virginia. TURN ~ A Revolutionary War era series shown on AMC about the Culper Ring, America’s first intelligence organization. It was based on the Alexander Rose book Washington’s Spies. 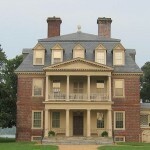 TURN was filmed in numerous Virginia locations, Doswell, Patrick Henry’s Scotchtown near Ashland, Kittiewan Plantation, Westover Plantation, CentreHillMuseum, Farmer’s Bank, Petersburg Farmer’s Market, Shirley Plantation, Southside Railroad Depot. JOHN ADAMS ~ A miniseries based on the David McCullough’s Pulitzer prize winning biography of John Adams. 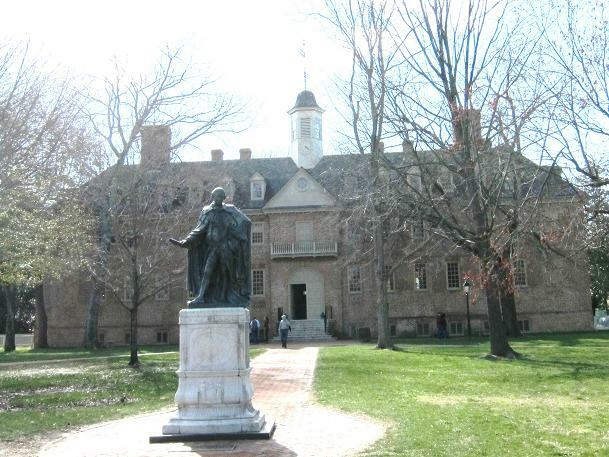 including The Wren Chapel in the Christopher Wren Building at the College of William & Mary. There is nothing unusual about seeing folks wandering around in period garb anyplace in the greater Williamsburg, Virginia area. One day, while some scenes of John Adams were being filmed, I happened to be doing some errands downtown. When I glanced across the street at the set, I was taken aback a bit by the snow-covered lawn in the middle of summer. GODS AND GENERALS ~ An epic movie, based on Jeff Shaara’s God’s and Generals detailing many of the battles that led up to Gettysburg. Chancellorsville, and Fredericksburg. 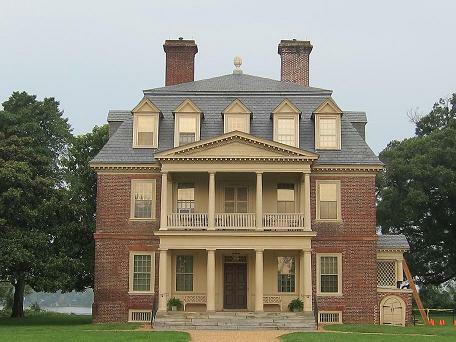 One of the filming locations was Robert Duvall’s estate in Virginia. He played Robert E. Lee in the film. GODS AND GENERALS was released in 2003 and is the prequel to the 1993 film Gettysburg. The movie is predominantly about Thomas “Stonewall” Jackson when he experienced numerous successes against the Union from 1861 to 1863. 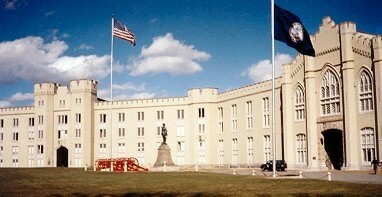 One of the film locations was The Virginia Military Institute (VMI). After Jackson graduated from West Point and served in the Mexican-American War he became a professor at VMI. When the Civil War began, Jackson re-entered the Army and took command of the VMI Corps of Cadets, where the students began training recruits to fight. My younger son, a student at VMI at the time was one of the many cadet extras in the film. 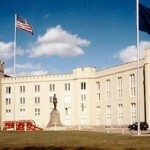 VMI looks much as it did during the Civil War so it did not require many alterations to the façade of the University. LINCOLN ~ Addresses the last few months of Lincoln’s life that focuses his efforts to pass the 13th Amendment. 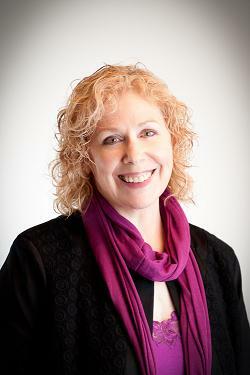 It was based on the book Team of Rivals: The Political Genius of Abraham Lincoln by Doris Kearns-Goodwin. LINCOLN was filmed in multiple locations in and around Richmond and Petersburg. COLD MOUNTAIN ~ A Civil War era novel based on the book Cold Mountain written by Charles Frazier. Back in the early seventies, the filming of a scene from HAROLD AND MAUDE took place in downtown Palo Alto, California next to my office. Many of us who worked in the area would spend our lunch time watching part of the fascinating process of making movies. Have you ever had the opportunity to live or work where you could observe a television program or movie being filmed?